General Internet Security Info: - (TEK) Innovations. 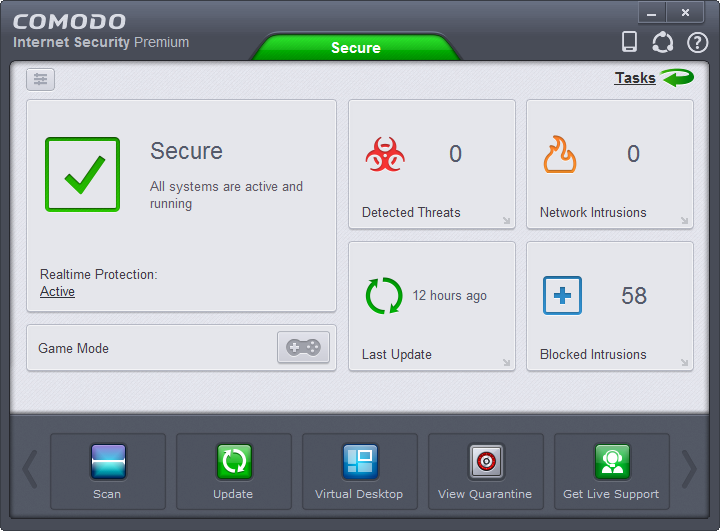 Comodo’s Internet Security suite differs from traditional antivirus software in that it also includes other layers of protection, including anti-spyware, parental controls, privacy protection and much more. This Free Internet Security suite is a complete package that you can download and install for peace of mind. How to change compact / advanced view setting. Disable the Comodo popup Ads. 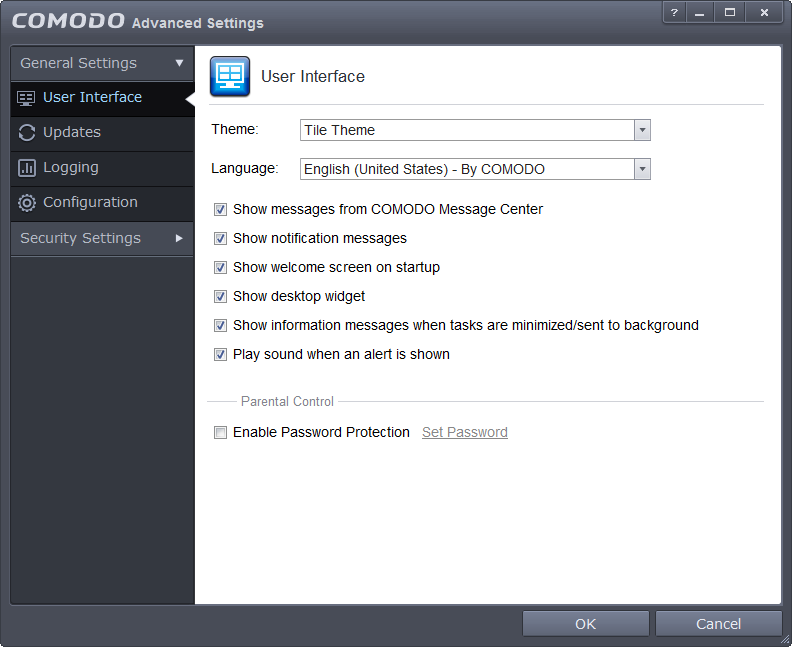 Disable or change the Comodo widget settings. 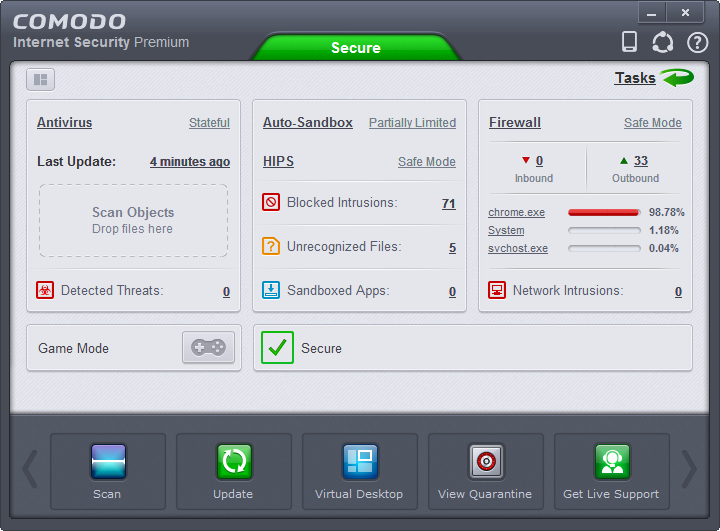 There are a few ways that you can access the Comodo settings. Go to your Start Menu – Program Files -COMODO – COMODO Internet Security – then click on the COMODO Internet Security to launch the program. If you have a desktop icon you can launch it from there too. Now on the top you have the Antivirus – Auto-Sandbox – Firewall sections. Now click the General Settings then User Interface. Uncheck the Show messages from COMODO Message Center. You can also uncheck the Show desktop widget if you don’t want it on your desktop or re-enable it from here if you disabled it. If the widget is on your screen you can change the settings by right clicking anywhere on the widget. You can also access the menu from your taskbar by right clicking on the Comodo taskbar icon. You should now see the pop up menu like shown below. You can change the widget settings here along with enabling or disabling the different features listed. If you check the Advanced View you can change the settings with a click of the mouse or access the settings directly for the different features. I do not use GeekBuddy and do not have it installed. Comodo Internet Security is my personal choice for my computers. I have been using Comodo Internet Security for many years now and have found it to be just as good if not better than other brands for the features included even in the free version. I also would recommend for some users installing Comodo Dragon (Google Chrome Based) and / or Comodo IceDragon (Firefox Based) along with the virtual desktop and other required files if you visit sites or do searches online. Also when installing Comodo Internet Security I Recommend using there DNS servers when setting it up. This gives you some additional protection when surfing the web. As with any software pay attention to all the options that are presented to you during the installation process. You will be given options of what to install. Some default settings will make changes to your computer. If you don’t want certain features installed be sure to uncheck them when installing. Microsoft Security Essentials is a free* product you can download to help defend computers running Windows Vista and Windows 7 against viruses, spyware, and other malicious software. Comprehensive protection – Microsoft Security Essentials helps defend your computer against viruses, worms, Trojans, and other malicious software and provides you with free spyware protection. Easy to get, easy to use – Microsoft Security Essentials is available at no cost, so there’s no registration process that requires billing or personal information collection. It installs after a quick download and then stays automatically up to date with the latest spyware protection technology and signature updates. Quiet protection – Microsoft Security Essentials doesn’t get in your way. It runs quietly in the background and schedules a scan when your computer is most likely idle. You only see alerts when you need to take action. Norton Internet Security lets you email, chat and surf the Web without worrying about cybercriminals ripping you off. It delivers protection from online dangers without sacrificing performance. It guards against online identity theft so you can shop, bank and visit social networks with confidence. It updates automatically, offers easy-to-use features and includes free customer support during your subscription period. McAfee Internet Security software provides comprehensive PC and identity protection to keep users safe from online threats, and also shields them from risky Web sites. It offers antivirus, anti-spyware, anti-phishing and two-way firewall protection. Additionally, it includes anti-spam, parental controls, 1 GB of online backup and SiteAdvisor, a powerful Web site safety advisor so consumers can safely surf the Web. With thousands of new viruses created every day, relying on traditional security updates isn’t enough anymore. That’s why we added McAfee Active Protection technology. This exclusive feature instantly analyzes and blocks new and emerging threats in milliseconds so there’s no gap in your protection.